Showing 3 articles from September 3, 2011. Pamela W. "Pam" Rogers, 58, of Woodbury, died September 2, 2011 at her home. 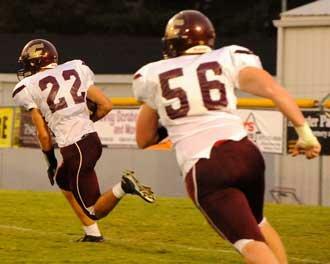 Lion defender Justin Tobin (22) returns an interception Friday. SMITHVILLE - It was the same story, different verse for Cannon County as it opened District 8-AA play at rival DeKalb County Friday.